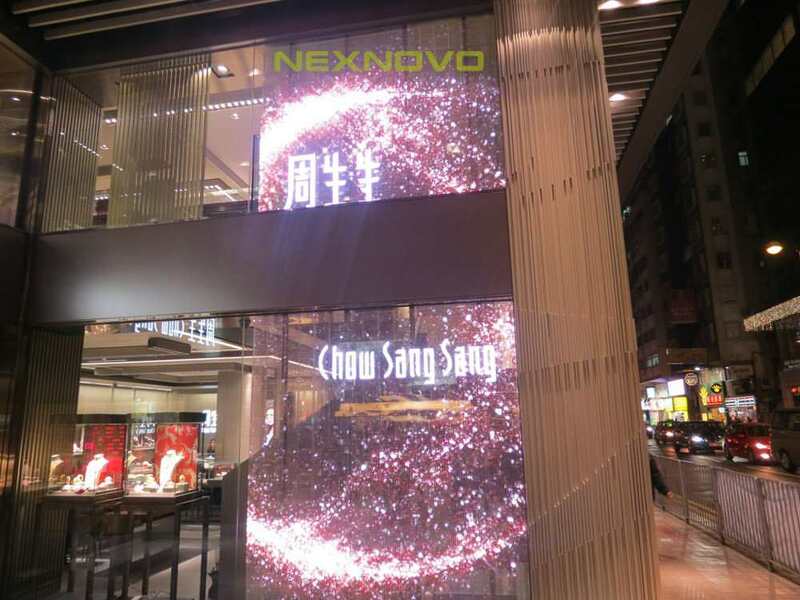 NEXNOVO Technology has been focused on R & D of transparent LED display technology. 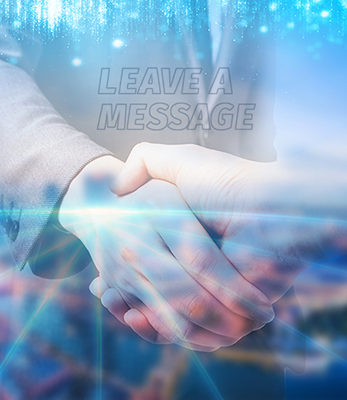 We have create (completed ) many successful projects of it in public places such as Blue Shore financial, Primark, IMAX and etc. 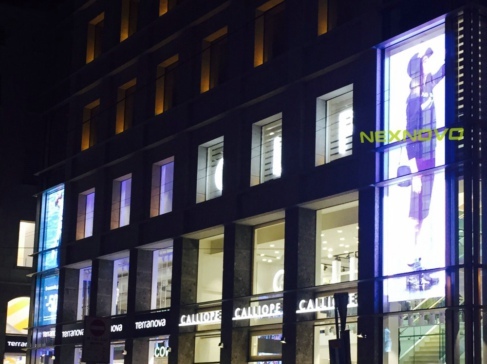 NEXNOVO transparent LED display has higher transparency that has no impact ( not affect) for lighting degree and beauty design. High refresh rate and high gray scale ensures vivid images and meet the high visual image requirements. Remote center control, instant communication which ensures remote monitoring and control several displays at the same time. Besides, advertising content can be changed at any time which ensures advertising updates in real time. What’s more, all video formats are supported. Glass wall is a new building wall, which brings biggest features of building -- combing architectural aesthetics, architectural features, building energy efficiency and structural factors as an organic unity. The building could show different colors from different angles, with the change of sunlight, moonlight and lighting , people could enjoy dynamic beauty. There are magnificent glass curtain wall in major cities all over the world,, such as the World Trade Center in New York, Petroleum Building in Chicago , Sears Tower have also adopted the glass curtain wall. Bank of China Tower in Hong Kong, Shanghai Friendship Building and Beijing Great Wall Sheraton Hotel and etc. Glass curtain wall construction gradually occupied the main parts of city buildings. 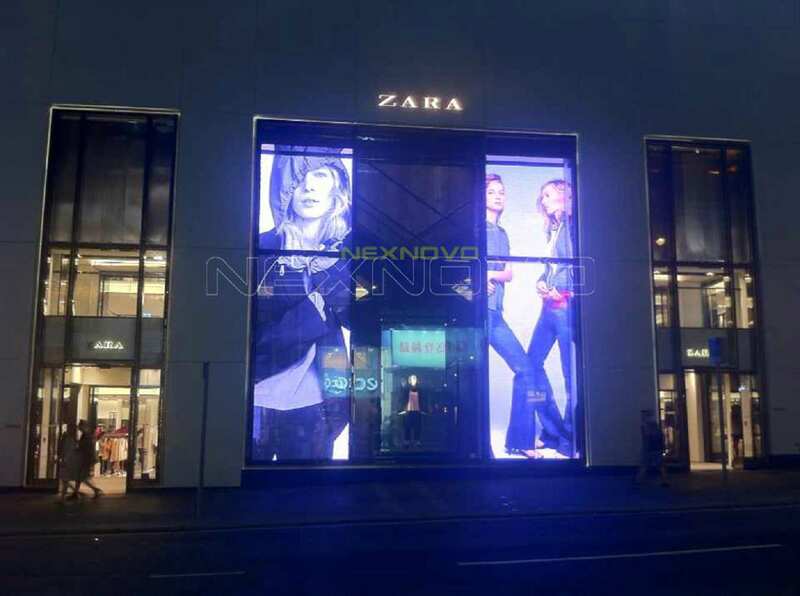 According to statistics, the total area of the modern China glass walls has exceed 70 million㎡, mainly in urban areas, such a huge amount of glass curtain wall is a huge potential market for outdoor advertising media , the value of this advertising market has not been fully developed, in the case of urban outdoor advertising resources drying up, the glass curtain wall is a new blue ocean areas. 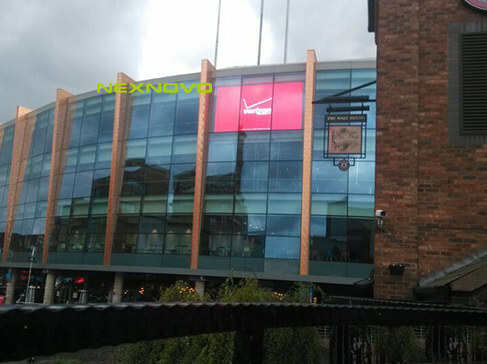 This area has a wide range, such as Glass curtain wall building, Shopping mall, sightseeing elevators and other occasions. (3) let the expressive of architectural media reached a maximum. (1) A high rate perspective, to ensure that the requirements of lighting and viewing angle range between floors, glass facades, windows and other light structure to ensure that the glass walls of the original lighting feature perspective. 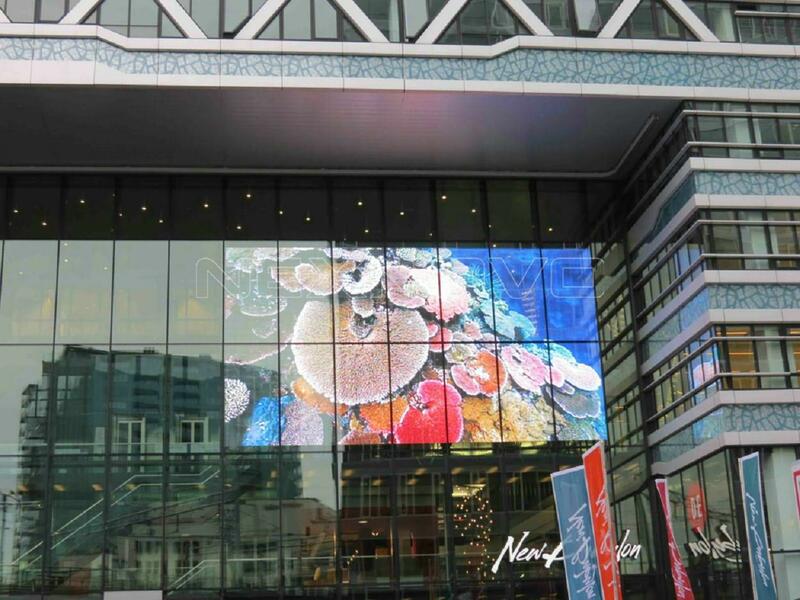 (2) Don’t take up space, thickness of board is only 10mm, the display screen body weight only 12Kg / m2, without changing the structure of the building, and paste it directly on the glass curtain wall. (3) No steel structure, which saves much installation and maintenance cost. Easy installation and easy maintenance also saves much labor cost. 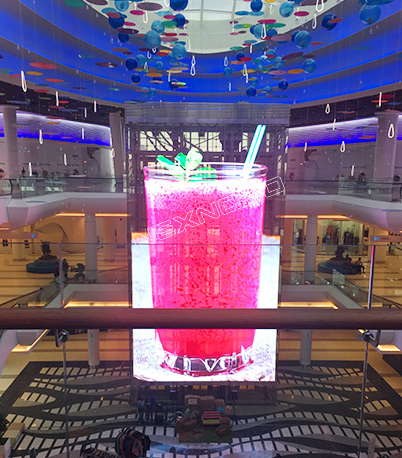 (4) Unique display, advertising screen suspended on the screen which ensures great advertising effect and artistic effect.